Fairfield, Conn. – Even with the harsh weather of heat and humidity this summer, the Fairfield Chamber of Commerce is happy to announce that it has found a Super-Giant Pumpkin to be featured at its annual Harvest Market, this Sunday, October 14th, from 10-4pm, on Old Town Hall Green in Fairfield. Adult (over 21 years old ): Simulated round of golf foursome at one of the world’s renowned golf courses at the new Golf Lounge 18 ($240 value). Children/Teens: Adventure Park Zip line & more! 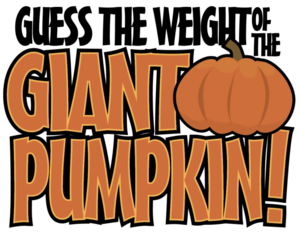 Join all the family fun this Sunday, October 14th at Fairfield’s Old Town Hall Green, corner of Old Post Road and Beach Road, to enter the Super-Giant Pumpkin Contest. Prizes will be awarded at 3:30pm, winner doesn’t need to be present to win. Bring your cameras to take lots of pictures!